Service Costs > How Much Does a Matinee Movie Ticket Cost? How Much Does a Matinee Movie Ticket Cost? A matinee movie has been a great money saver for those who don’t want to pay the high prices of an evening movie. Seeing a movie on a weekday afternoon when the theater isn’t busy is known as a matinee. Matinee movie tickets cost less than the standard ticket prices, and the movie theaters do this as a way to attract moviegoers to watch the movie during off-peak hours, usually during the afternoon. The price for matinee movie tickets is very similar at most theaters; however, the location and brand of the movie theater can be a factor. The average matinee movie ticket price is anywhere between $6 and $11, and this price is going to greatly depend on the geographical location area and the theater. Refer to our table below to see what theaters across the United States are charging. What exactly is a matinee? A matinee will be no different than another movie and/or show; they are just performed earlier and movie theaters will offer a discount to get more people in the doors. Joshua Engel notes that live plays may have less energy since it’s often weird to perform when the sun is up and most actors tend to be night owls. Also, the audience can seem restless since it’s the middle of the day and most people are doing something different at the time. However, do keep in mind he’s comparing live performances to a movie, and with most shows, unless you want a wild crowd, the movie atmosphere will almost feel the same, just a bit less busy. Some movie theaters may a surcharge applied if the tickets were purchased online. This is usually about $1. 3D movies may cost an additional $2 to $5 on top of the matinee price. Most movie theaters offer its matinee pricing before 4 p.m. every day, with the exception of some Sundays and holidays at some brands; however, this will vary from brand to brand. For example, the AMC theater has its matinee pricing from noon until 3:55 p.m.
Not all movie theaters refer to it as a “matinee.” Some brands may call it an “early bird,” “economy” or as a “super saver” discount. For example, Cinemark calls it the “early bird” discount. Some theaters may not offer matinee pricing, even if the theater says it does on its official website. In popular cities, such as New York City or Chicago, you may find out the prices won’t apply at all. To play it safe, it doesn’t hurt to call the theater ahead of time just to confirm. If you want to see the official matinee times in your area, refer to this Fandango search tool. 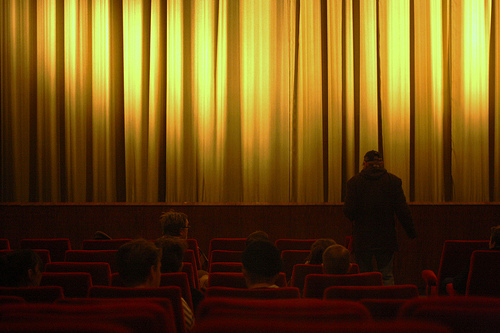 Most matinee moviegoers may be able to take advantage of promotions in the food section. Check with your local movie theater to see if they offer any available promotions during matinee times. Order tickets online and check for local coupon codes for a bigger discount. Websites such as Fandango may have coupon codes to help you save even more. See if the theater offers any senior citizen, student or military discounts to save even more. Consider the MoviePass if you see more than six movies per month. For $50 per month, you will be able to see unlimited movies at a local particpating theater. Joining the theater’s official movie club via e-mail may offer other discounts. Purchasing discounted gift cards online can often save you up to 20%.